President Donald Trump speaks during the National Prayer Breakfast in Washington, Feb. 7, 2019. Trump is trying to turn the debate over a wall at the U.S.-Mexico border back to his political advantage as his signature pledge to American voters threatens to become a model of unfulfilled promises. Trump will hold his first campaign rally since Novembers midterm elections on Monday in El Paso, Texas. 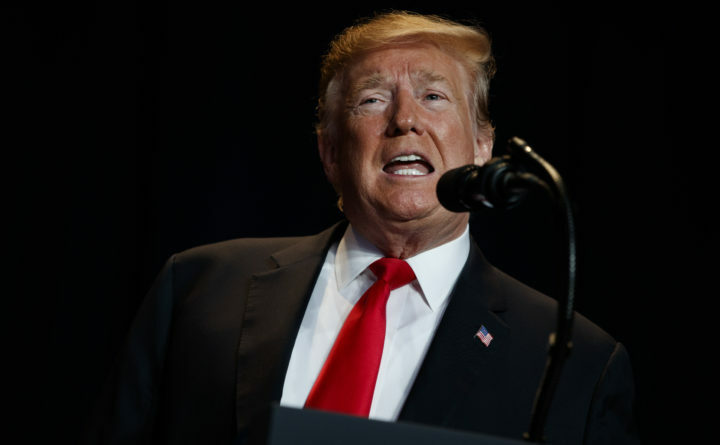 WASHINGTON — President Donald Trump is trying to turn the debate over a wall at the U.S.-Mexico border back to his political advantage as his signature pledge to American voters threatens to become a model of unfulfilled promises. But there was nothing subtle about O’Rourke’s response: He’ll be joining a march through his hometown to protest a border wall at the same time as Trump’s rally.